my little red suitcase: prayer flags from vintage sheets! prayer flags from vintage sheets! it's so rare to have anytime at home alone at the moment. I had to use the sewing machine! this was my simple answer! but I liked the light through the window best. I like having them about. I mean I moved my piles around.......! and I've always had collections of bits and bobs! so I'm enjoying my prayer flags. needing to stay hopeful about the return to school. and the making and crafting will have to work around that! Hope all goes well with the new term. your crafty room is bright !! I like it! Even your little bunting is so cheerful!! Hi ! 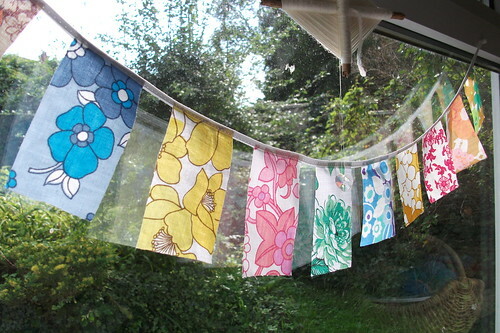 I wanted to make a bunt with prayer flags for years, but I can't find the rihgt fabric, or enough of it. 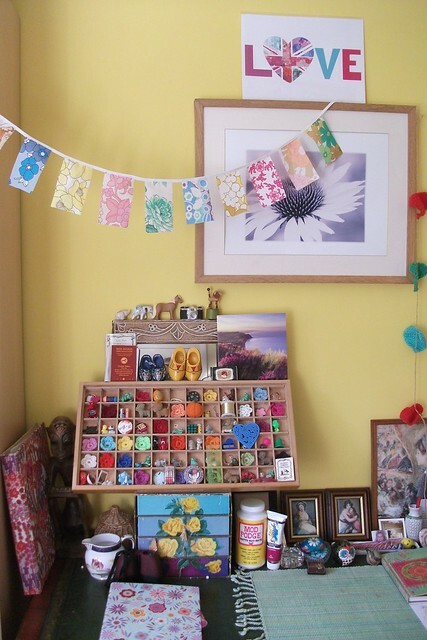 And you have a very nice craft room, I'm green with envy! Mine is a mess, and not as pretty. Love your vintage sheet prayer flags. Glad you had the chance of a bit of creative therapy time (such a great space, just as *you* like it). All the best with the new school. Hello! It is nice to meet and follow you! 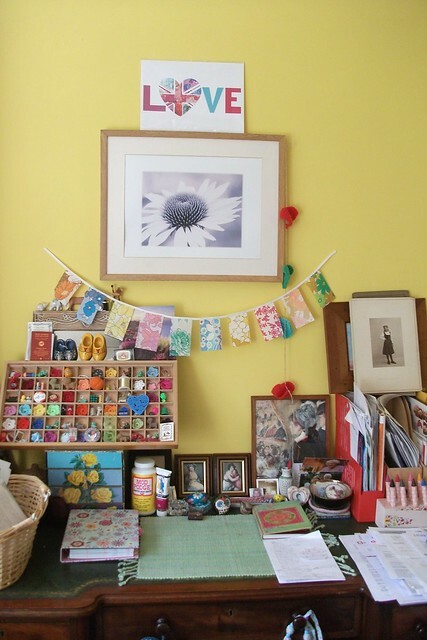 You have such a blog, and such a lovely studio! Good Morning Heather. 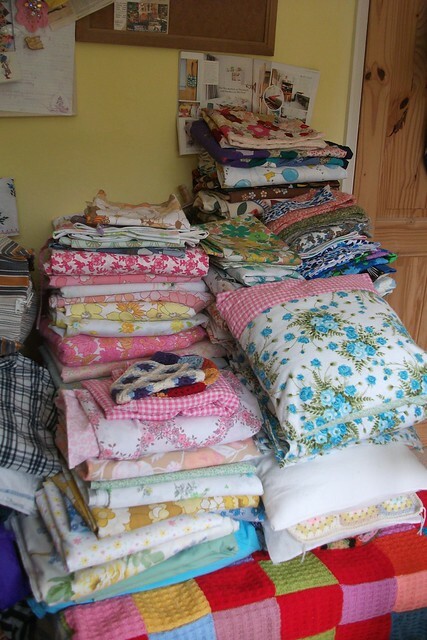 I peeking about your desk and your fabric stash. Both so inspirational. I have to clear up my desk after each layout. All the tools go back to their homes. Snips and bits, put away. That way, I am not frustrated by searching for things when I start on my next layout. So actually, things are tidy for about 30 seconds, between projects. Wondering about the prayer flag. Did you finish the edges or are they raw? Do you use a rotary cutter or scissors? What a lovely idea and a great way to use up some odds of fabric. Love the vintage stuff though.